Inspired by the plight of H. G. Wells’ The Invisible Man, Brian Griffiths’ The Invisible Show at Vilma Gold is an exploration of ‘whether an exhibition can be an absurd feat of invisibility.’ Before you wonder whether this is a case of ‘The Emperor’s New Clothes’ there is something tangible to look at in this exhibition: Griffiths’ ‘Invisibles’ are all too visible, large cuboid constructions made of metal frame skeletons concealed under swathes of neutral canvas. As you pick your way through the maze between the structures and the walls, the cramped conditions and imposing forms promote a sense of awkwardness. 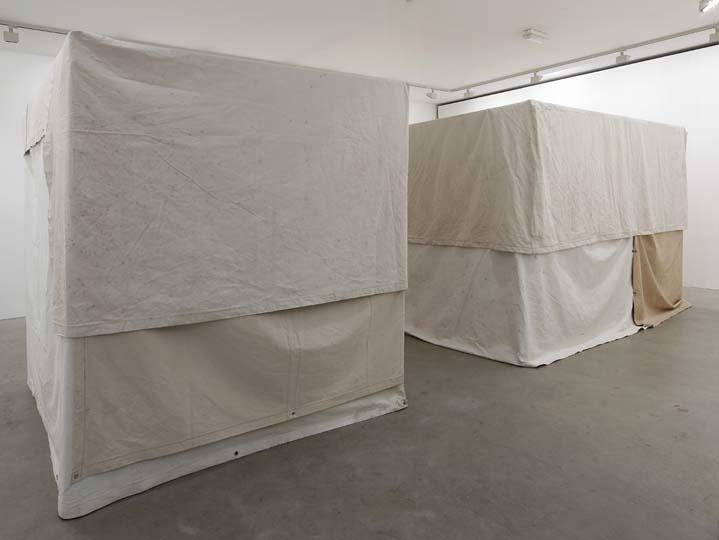 On closer inspection, incongruities emerge: the structures seem too cumbersome for this small gallery; they are not as white as the pristine walls, not as regular as the angular space, not as smooth as the glass or as solid and stable as the concrete. And yet, despite their blemishes, they stand unashamedly grounded like giant monuments or tombs; waiting, watching, asking to be judged. 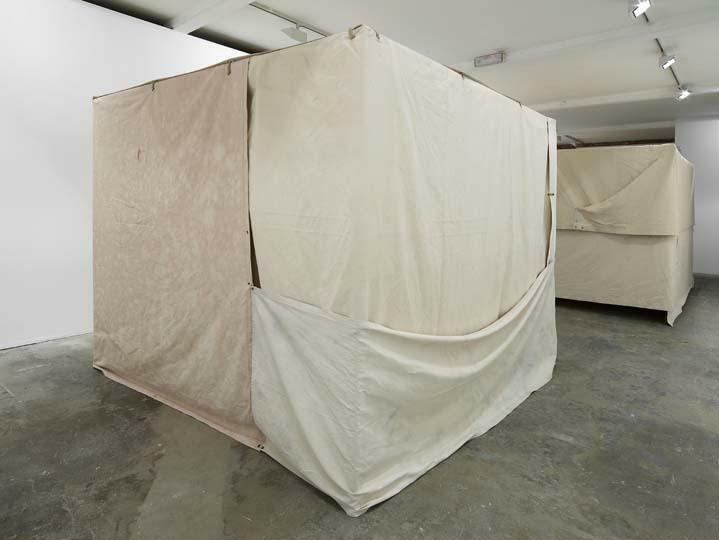 For Griffiths, invisibility is beige. 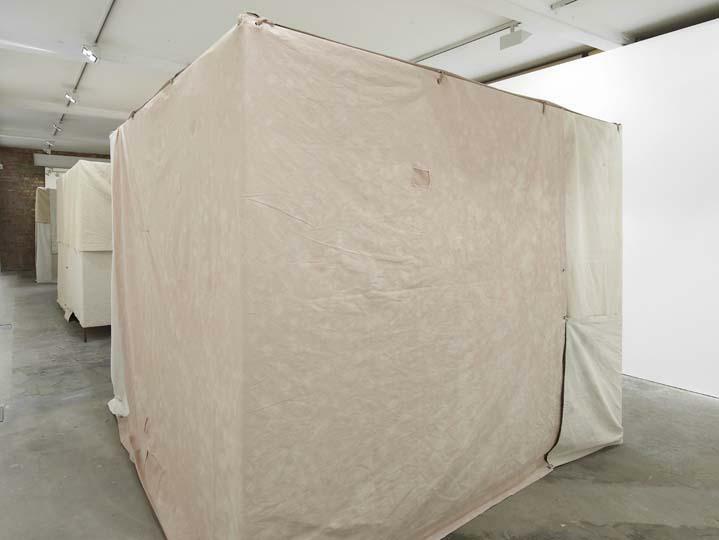 Set in its other-worldly gallery setting, beige comes into its own, emblazoned across the looming structures and thrust into the viewers’ consciousness. The press release describes the overall effect as a ‘cosmic latte’ - a microcosmic melange of all that is middling, mediocre and mundane. 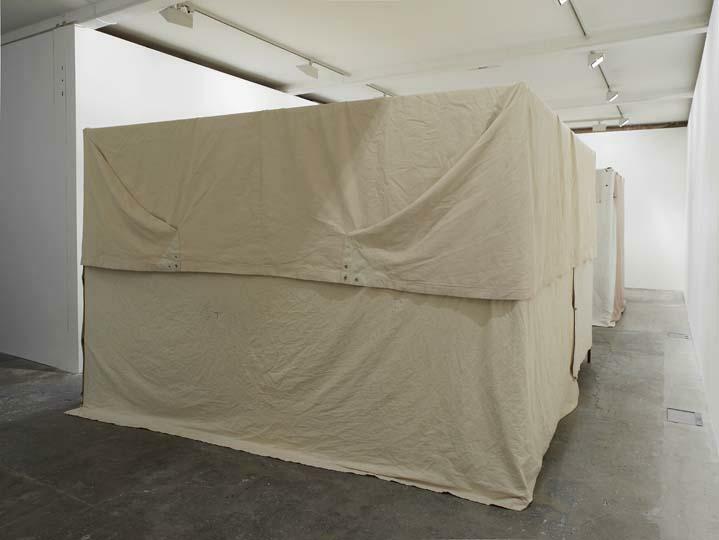 In a deliberate inversion of the traditional use of canvas in art, Griffiths uses it to conceal not exhibit. 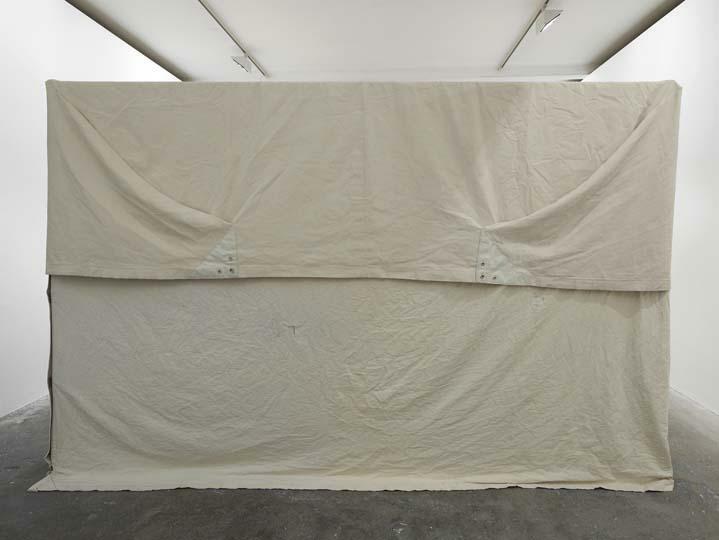 Rather than being primed and stretched for an oil painting, it has been loosely hung and displayed with all its imperfections - flecked paint, fraying seams and creases. 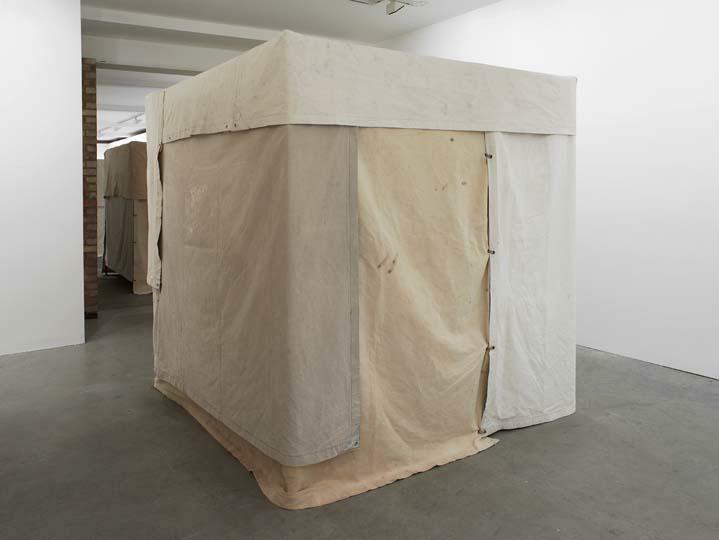 By monumentalising these makeshift assemblages, Griffiths has fashioned himself along Arte Povera lines as champion of the unremarkable, forgettable and invisible by elevating it into significance. As he said in a recent interview: ‘To make artwork that is fallible and imperfect is important to me in a time of ever increasing glossed commodity perfection’ (Phaidon, 2012). The most famous example of this is Battenberg (2010), a giant old-fashioned cake made of humble domestic bricks which was shortlisted for the Trafalgar Square Fourth Plinth. 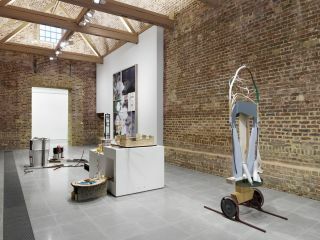 Other works explore this theme with industrial materials such as concrete (Life is a Laugh, 2007) and found object assemblages (Boneshaker, 2003). 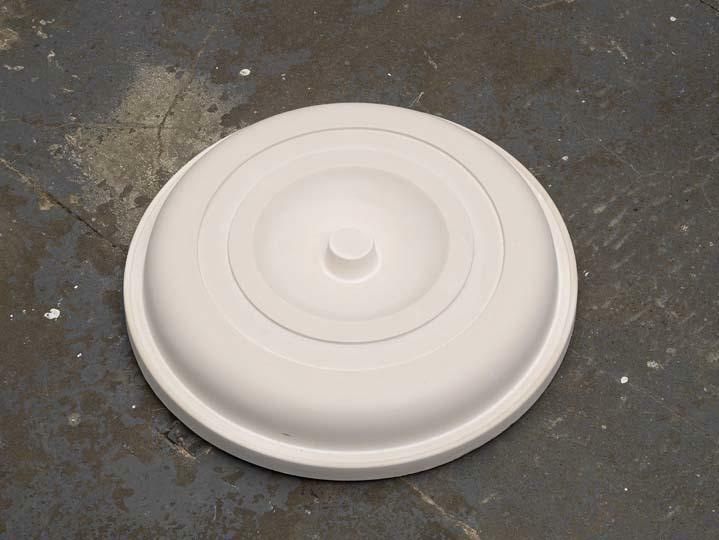 But, to return to the central paradox of this show: how can an exhibition be invisible’ Moreover, how can placing normally ‘overlooked’ objects, materials, colours and shapes at the focal point of display make them even more ignored’ The Invisible Man provides a clue. The hero, coincidentally named ‘Griffin,’ experienced an unexpected inverse effect once he became ‘a walking personification of the Negative.’ Invisible only when naked, Griffin is forced to clothe himself in order to disguise his invisibility, leading to farcical situations such as raiding a theatrical costume shop. Ultimately, it is his invisibility which leads to his being pursued and eventually killed. 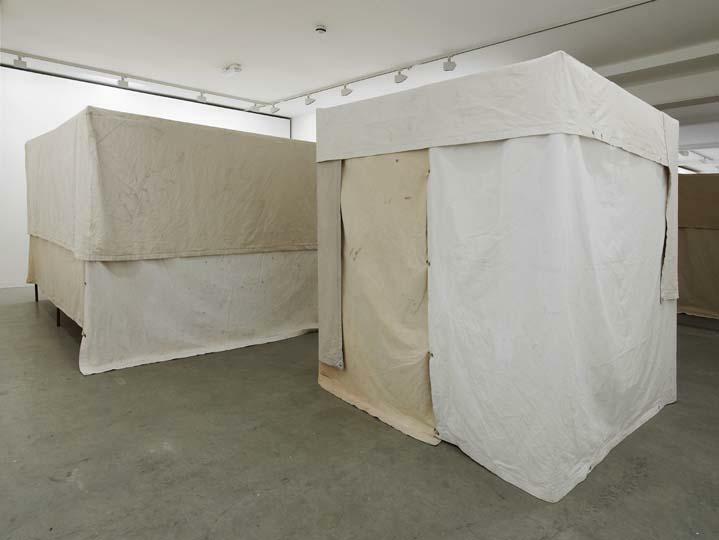 Perhaps the point the artist is trying to make is that the more one tries to conceal invisibility, or as an extension, personal flaws, the more conspicuous it seems. 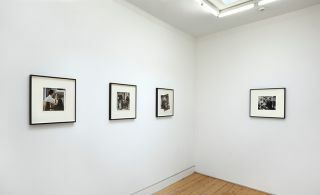 Griffiths’ work acknowledges the underdog but also offers a generalisation of the world; nobody thinks they are perfect. Nobody is perfect. But there is always more beneath the surface. 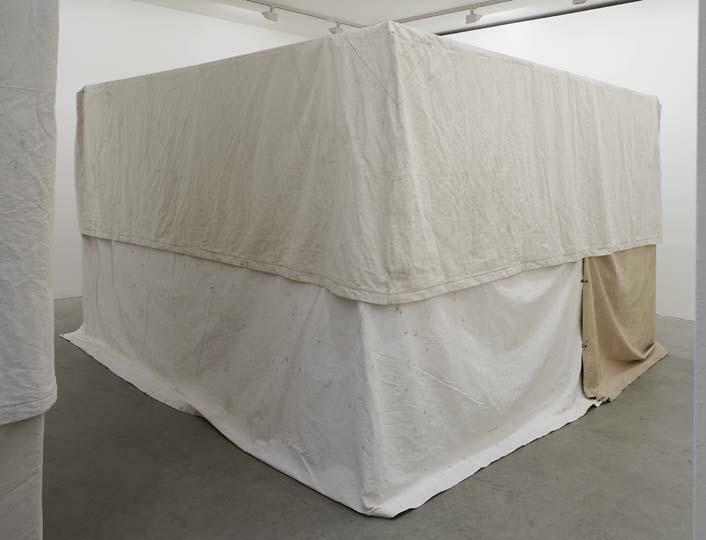 Regardless of whether the phenomena of invisibility is practically or metaphorically achieved, these works of art are simultaneously performing and hiding, escaping and trapped, monumentalised and crudely exposed.